Pathologists are experiencing a transformative practice change from laboratory diagnosticians to clinical consultants at the center of patient care. This interactive course attempts to provide a real-world clinical training experience from the first encounter with the patient to quality assessment of the final integrated report, and is intended as a training in-depth snapshot of why cytopathology is essential and integral to patient-centered care. The course integrates the procedural aspects of FNAB with the equally important skills of communication and diagnosis, to prepare pathologists to respond competently to the escalating pressure to acquire diagnostic material for accurate diagnoses, predictive/prognostic information and targeted therapies. This is the immersive cytopathology experience. The United States and Canadian Academy of Pathology designates this enduring material for a maximum of 10 AMA PRA Category 1 CreditsTM. Physicians should claim only the credit commensurate with the extent of their participation in the activity. The USCAP is approved by the American Board of Pathology (ABPath) to offer Self-Assessment credits (SAMs) for the purpose of meeting the ABPath requirements for Continuing Certification (CC). Registrants must take and pass the post-test in order to claim SAMs credit. Physicians can earn a maximum of 9.5 SAM credit hours. 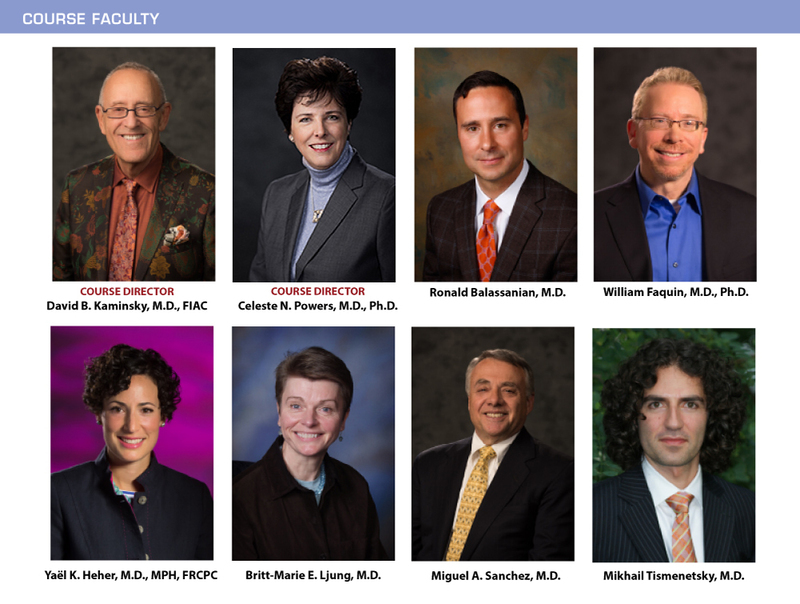 The faculty, committee members, and staff who are in position to control the content of this activity are required to disclose to USCAP and to learners any relevant financial relationship(s) of the individual or spouse/partner that have occurred within the last 12 months with any commercial interest(s) whose products or services are related to the CME content. USCAP has reviewed all disclosures and resolved or managed all identified conflicts of interest, as applicable. The following faculty reported no relevant financial relationships:  David B. Kaminsky, M.D., FIAC, Celeste N. Powers, M.D., Ph.D., Ronald Balassanian, M.D., William Faquin, M.D., Ph.D., Yaël K. Heher, M.D., MPH, FRCPC, Britt-Marie E. Ljung, M.D., Miguel A. Sanchez, M.D., Mikhail Tismenetsky, M.D. USCAP staff associated with the development of content for this activity reported no relevant financial relationships. To earn CME and SAM credit, all learners must take a content-based exam and achieve a minimum score of 80%. If learners do not achieve a passing score of 80%, they have the option to retake the exam. After you pass the test and complete the evaluation, your certificate of completion will be available to view and print by clicking here. Purchase the whole ICE: Immersive Cytopathology Experience course and save! If you are not a member and would like to enjoy member pricing you can apply for membership by clicking here.